After our crazy, busy weekend, I decided to take a rest day on Monday. 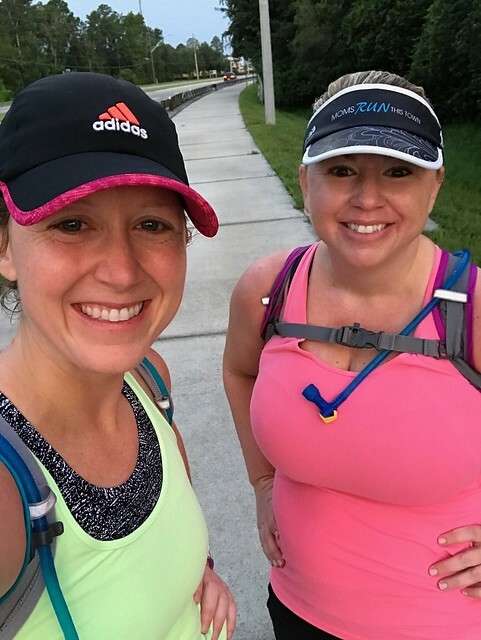 The plan called for 7 miles of hills, which meant we needed to find an overpass to run considering there are no real hills in Central Florida. 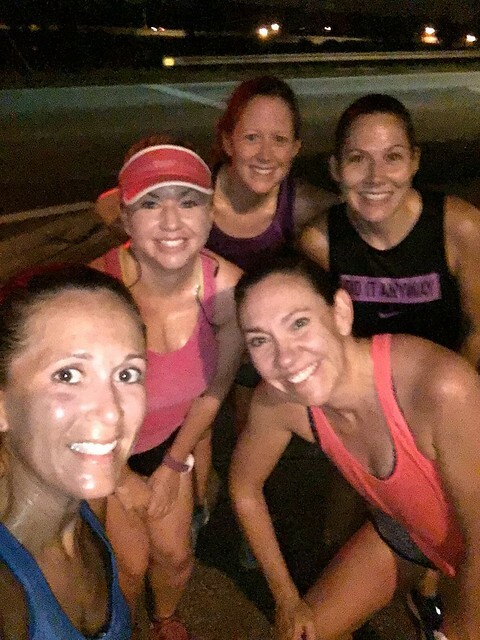 We met at 4:30am for one warm up mile, then 5 miles of hills repeats. The overpass is about .3 miles long so we ran that thing 15 times! We ended with one cool down mile for a total of 7. My stomach was upset majority of the run so it was a struggle. I was so happy to be done! After sleeping in for the second morning this week, I decided I needed to do something when I got home from work. After the kids were in bed, I did a 25 minute yoga stretch workout from Yoga with Adriene on YouTube. It wasn’t a rigorous workout by any means, but it was better than sitting on the couch AND it forced me to stretch. I always look forward to Thursday runs after my Tuesday runs. This week I did 6 tempo miles and I actually kept them fairly consistent: 10:14, 10:04, 10:17, 10:42, 10:10, 10:09. I think next week I will dedicate my first mile to warm up, then concentrate on keeping the rest of the run consistent. 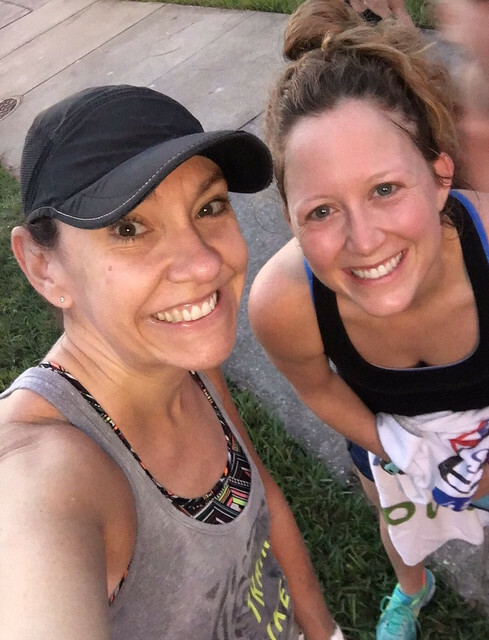 Heather and I did our long run on Friday since I was leaving town early on Saturday morning. We ran 5:1 intervals (run for 5 minutes, walk for 1 minute) for the first 8 miles. I had to get back to the house so Greg could go to work, so I ran the last 6 miles on my own. I ran them pretty quick since I was racing against the clock. I felt pretty good afterwards aside from some sore toes. I headed up to Indiana with the kids, so this was another rest day. The temps were much cooler in Indiana than in Florida so there was no rush in getting out the door for my recovery run. I finally got out there around 9am, which is unheard of in August. 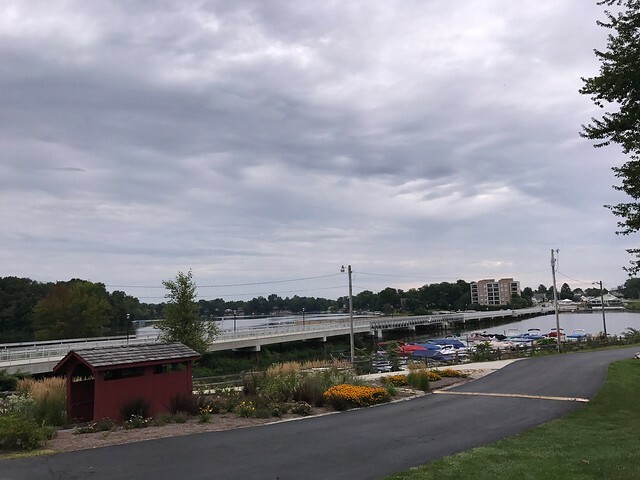 It was overcast and in the mid 60’s so I wanted to run forever! The rolling hills snuck up on me however and my legs were tired. I stopped after 4 miles though the plan called for 5, and I was perfectly fine with that decision. 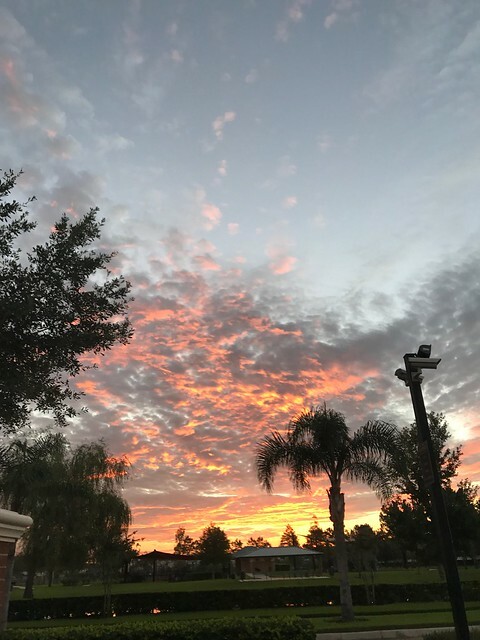 I am looking for one more cool weather run before I head back to the heat and humidity.